This exhibition is an extension of Zihan's research into Josef Ng's Brother Cane, with a focus on the weeklong interdisciplinary art event that hosted Brother Cane. The Artists' General Assembly took place from 26 December, 1993 (Sunday) till 1 January, 1994 (Saturday) at 5th Passage Contemporary Art Space in Parkway Parade Shopping Centre, Marine Parade, Singapore. 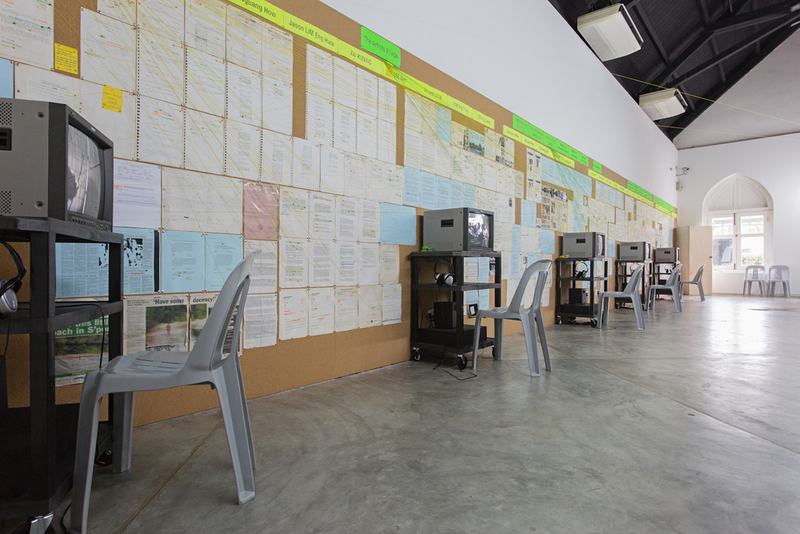 Artists' General Assembly: The Langenbach Archive contains a selection of approximately 150 documents from performance artist and academic Ray Langenbach's visual and text based archive of the arts scene in Southeast Asia from the late 1980s to the present. The exhibition also includes approximately 8 hours of video documentation on 5 television monitors from the original event itself captured by Ray Langenbach. Langenbach moved to Singapore from Malaysia in 1993 and taught at the National Institute of Education until 1996. 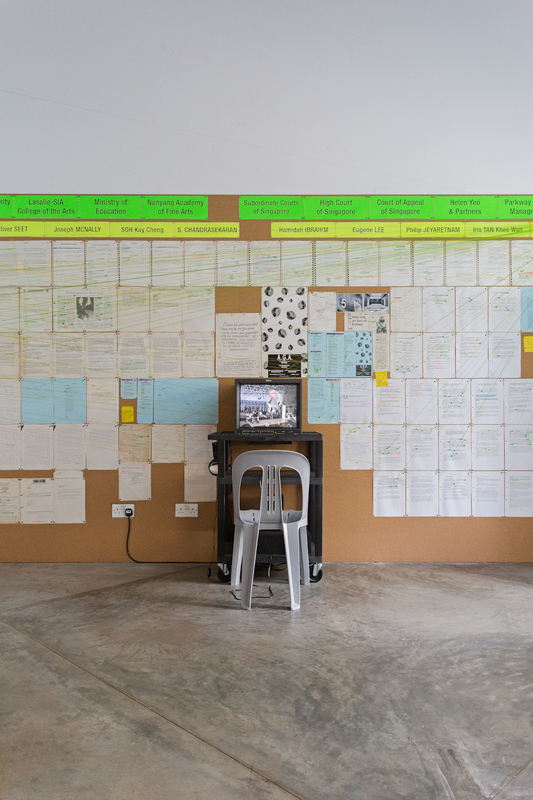 He completed his PhD thesis in 2004 titled Performing the Singapore State: 1988-1995, which details the controversy surrounding Artists' General Assembly. He is currently based in Helsinki. 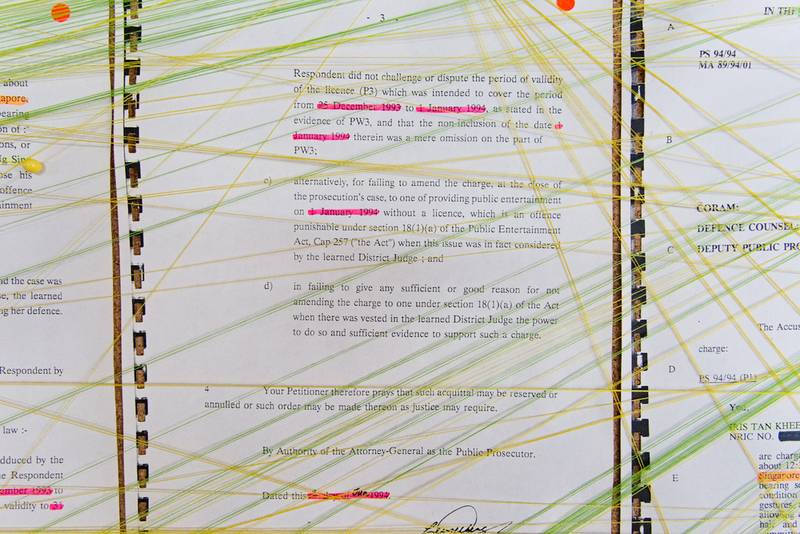 The installation/archive evolved over the duration of the exhibition as the artist/archivist alters and re-threads connections between documents. 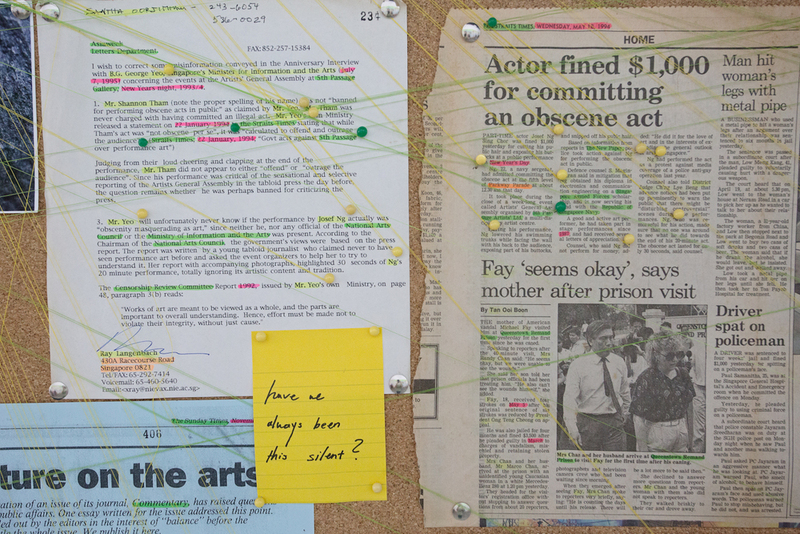 Viewers were invited to participate by leaving corrections, comments or opinions about the archive on post-it notes and adding them to the installation with critical consideration. 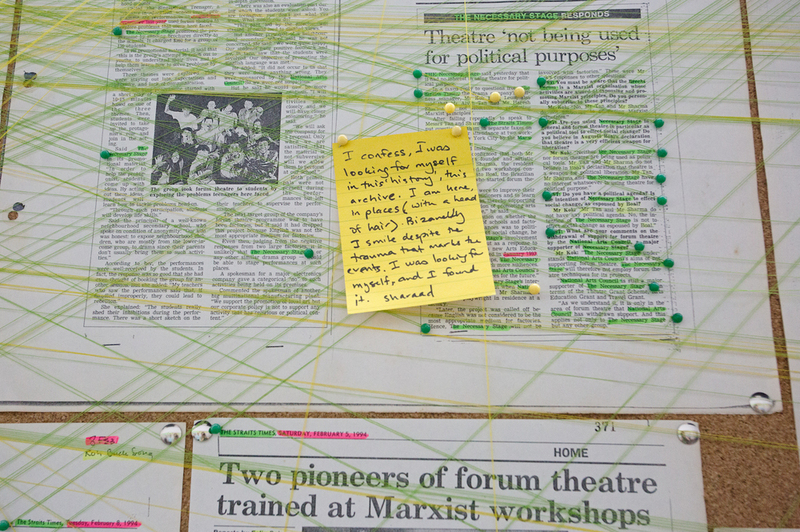 These notes were collected, documented and archived after the deinstallation of the exhibition.